It is the responsibility of the Team Captain to arrange mutually agreeable tee times for the match with the opposing Team Captain. Tee times are to be no later than 2 p.m. Tee times for each team must be consecutive. Please take into account drive time when arranging these times. Team Captains should communicate the competition course. The host club is responsible for this decision. course selection may be dependent upon various factors such as weather. Each Member Club has different rules on the dress permitted in various areas at certain times. Be sure to inform your opponent of the club rules before the team arrives. Each Member Club has different rules on how purchases may be made (i.e. cash only, reciprocal only, etc.). Be sure to communicate your club rules to the opposing Team Captain. Please communicate the acceptable methods of course transportation and the fees involved. It is each Team Captain’s responsibility to fill out the scoresheet properly and to ensure the scoresheet has been posted to the GAP website, www.gapgolf.org. The Home Team should provide the scoresheet with the lineup to the Away Team upon arrival. **Most of all it is important to remember that these visiting teams are guests of your club. Any information or accommodations that can be provided or made available will make the BMW GAP Team Matches all that much more enjoyable for all involved. The April 1 Handicap Revision will be the ONLY handicap revision used for the BMW GAP Team Matches in placement of players on teams and eligibility. The Association recommends cocktails and Hors d’oeuvres. All regular matches shall be completed on the scheduled dates and shall be called by pre-arrangement of the respective Team Captains for no later than 2 p.m. If a team, or half team, is not available at 2 p.m., the team that is available at 2 p.m. will earn the default (for scoring, see defaulting team, half team). Tee times for each team must be in consecutive order. In four-ball match play, A and B are playing with C and D. They have been given a starting time of 9 a.m. D arrives at 9:01 a.m. after A has played but before B and C have played. May D play the first hole? D has been disqualified for play of the first hole. What if D arrived 30 minutes later? A side may be represented by one partner for all or any part of a match; all partners need not be present. An absent partner may join a match between holes, but not during play of a hole. D would be deemed to have lost all Nassau points in his individual match. What happens to the singles match in these situations? In the first situation, D has lost the first hole because he is late for his starting time. He will be able to complete the rest of the match starting on the second hole because he has arrived and is ready to play within five minutes of his starting time. (This is because the condition listed above is in effect). In the second situation, D has forfeited his singles match and can only rejoin the four-ball match. Each team will consist of 12 players. Six players will play at the away course and six at the home course. Players shall compete in a singles match and a four-ball match concurrently. Example: In a group where player A and player B represent a club and player C and Player D represent the opposing club, player A will play against player C in a singles match and player B will play against player D in a singles match. There is also a four-ball match of player A and player B against player C and player D.
a. All play shall be in accordance with the 2019 USGA Rules of Golf, unless granted an exception by the GAP Executive Committee. b. All matches will be played at scratch with no handicap strokes. c. Where applicable, the Rules of Golf for four-ball matches shall take precedence over the Rules of Golf for singles matches. d. Rule 10.2 – Advice. The note to this rule allowing Captains/Coaches to provide information to the players is NOT in effect. The giving of advice is restricted to the partners and/or partners’ caddies. See Interpretation 23.7/1: When concurrent four-ball and singles matches are being played, the two players of a side are no longer partners after the four-ball match ends. However, the two players that were partners are still allowed to give each other advice and to share clubs for the remainder of both singles matches. For example, side A-B is playing side C-D in a four-ball match with concurrent singles matches of player A playing player C and player B playing player D, both matches of 18 holes. Player A and player B are sharing clubs, all 14 of which player A brought. If the four-ball match ends on the 16th hole, but both the singles matches are tied, player A and player B may continue to use the clubs they selected for play (the shared clubs) and to give advice to each other, despite player A and player B no longer being partners. a. Male Club Members. ONLY male golfers who are active members of GAP Member Clubs and are in good standing. b. Amateur Status. All players must have unquestionable amateur status. c. Age Requirements. The GAP does not require any player, who fits into the handicap requirements of his team to be of a certain age. However, a Junior or college player should consult his team coach before competing. Competing in the BMW GAP Team Matches could prohibit him from any school athletic activity. d. New Members. The GAP requires all players to have a handicap showing on the April 1 Eligible Player Roster. Clubs must add new members and at least five scores for each prior to March 30, 2019; otherwise, those members will not be eligible. New members joining the club after March 30, 2019 may be added up until April 12, 2019 by contacting the Golf Office. New members joining after April 12, 2019 will not be eligible for the 2019 matches. e. Members of More Than One Club. May compete with only one club. Example: if a player is a member of Club A and Club B, and that player plays for Club A the first week, he is only eligible to play for Club A in the following weeks. f. April 1 Eligible Player Roster. A list of all members from your club who are eligible for the BMW GAP Team Matches is posted in the GAP Locker of each Team Captain and Golf Professional. Next to each player’s name is a seven-digit GHIN number. This number must be recorded on the result sheets opposite the player’s name. The Handicap Committee at each Member Club has the responsibility to make certain that each player has a handicap index reflecting potential ability. There are a number of different reasons the Committee could choose to alter a handicap index. Any Member Club that chooses to alter a handicap index of a player who will participate in the BMW GAP Team Matches must submit this information in writing, with supporting materials, for Association approval. The deadline for submission is April 1. The player’s original handicap index or altered handicap index may be chosen for use in the BMW GAP Team Matches. Member Clubs that make alterations of players participating in the BMW GAP Team Matches and do not submit the information to the Association will be subject to penalties in the Matches, which may include suspension. 1. Participates that isn’t male. 4. Listed on the April 1 Eligible Player Roster but doesn’t have a handicap (NH). 5. Plays on a team where his handicap is lower than the highest handicapped player of the higher ranked team (see also Placement of Players). Example: Club A has two teams (Team 1 and Team 2). The best course handicapped player on Team 2 cannot have a lower course handicap than that of the highest course handicapped player on Team 1. GAP rules permit the course handicaps to be the same. 6. Plays as a member of two different member club teams (see also Members of More Than One Club). 7. Plays as a member of one team but quits match in order to play for a different team. 8. Plays on two different teams (i.e. Plays for Team 1 and Team 2 because Team 2 was rained out and rescheduled). 1. All Nassau Points for the Singles Match (3). 2. All Nassau Points for the Four-Ball Match (3). a. Clubs with One Team. May use any eligible member of its club for regular or Playoff matches. c. The Arrangement of Players within the Team. The arrangement of the players within the team is at the discretion of the Team Captain. The two players who play together against the players of the opposing team (in individual and four-ball matches) can be arranged and pitted against whomever the Team Captain so chooses. 1. Filling out the result sheet completely and correctly, and posting those scores to the website,www.gapgolf.org. 2. If the Team Captain plays away, be sure to appoint an individual to enter results at home. 3. Captains in Division AA, A and B, please post results to the website, www.gapgolf.org, immediately upon conclusion of matches. 1. Nassau Points. One point will be awarded to the winner of the front-nine match, one point to the winner of the back-nine match and one point to the winner of the 18-hole match. All ties will result in each person/team receiving one-half of a point. Defaulting Team,Defaulting Half Team, Defaulting Pair, Defaulting Player. 1. Entire Team. If an entire team defaults a match, the winner will be credited with 34 points. Clubs with More Than One Team If your Team No. 1 defaults in a given week of the Matches, the first 12 course handicapped players from the April 1 Player Ranking are not eligible to play for any other team. If there are multiple players at the highest course handicap, it is the decision of the club as to which player(s) is not eligible and which player(s) will compete on the next team. If a lower ranked team (e.g. Team No. 2 or 3) defaults in a given week of the Matches, the next 12 lowest course handicapped players are NOT eligible to compete for any other team. If there are multiple players at the highest or lowest course handicap, it is the decision of the club as to which player(s) is not eligible and which player(s) will compete on the next team. Example – Smith Country Club has three teams. The second team defaults the second week of the matches. Team No. 1 course handicaps range from 3 to 6, the next 12 players, by course handicap, listed on your April 1 Player Ranking are not eligible to play for any other team. If there are multiple players at the highest or lowest course handicap, it is the decision of the club as to which player(s) is not eligible and which player(s) will compete on the next team. Team No. 1 – The club has the choice as to which three players holding a 6 Course Handicap (Perna, Dolan, Root or Dorazio) play for Team No. 1 and which one sits out on Team No. 2. Next 12 Course Handicap players for the defaulting Team No. 2. The Club again has the choice as to which 11 of the 17 players with a 7 Course Handicap sits out on Team No 2. Three of the players with a 7 Course Handicap can play for Team No. 3. 2. Half Team. If half of a team defaults (the home or away group), then the opposing team will win the match; 17 points will be awarded for the default, and the points recorded in the portion of the match played will stand. Clubs with More Than One Team: If half of any of your team defaults, then the next six players on the April 1 Player Ranking are not eligible to play for any other team. If there are multiple players at the highest or lowest course handicap, then it is the decision of the club as to which player(s) is not eligible and which player(s) will compete on the next team. Example – Smith Country Club has three teams and the away squad for the second team defaults the second week of the matches. The home squad’s Course Handicaps range from 7 to 9; the next six course handicapped players listed on your April 1 Player Ranking are not eligible to play for any other team, unless there are 12 Course Handicap players between 7 and 9. Default away squad for Team No. 2. The club would have the choice as to which of the players with a 9 Course Handicap will sit out and which will play for the home team. The club would also have the choice as to which players holding an 11 Course Handicap will sit out and which will compete for Team No. 3. 3. Pair. If a pair of players is missing, then the missing players forfeit 6 total individual points, The Four-Ball match will not be scored. 4. One Player. If one pair is only represented by one player, then the missing player will lose all 3 Nassau points. The representing player will score points for his individual match as well as the four-ball match. 5. Players. If one player from each team is absent at the start of the match, then the match shall be played and scored as a singles match only. The four-ball match will not be played or scored. When only three players represent EACH side, all matches MUST be scored as singles matches with no four-ball matches. Q.The “Nassau” System of scoring is used the BMW GAP Team Matches. In each match, three points are awarded as follows: one point to the winner of the first nine holes; one point to the winner of the second nine and one point to the winner over 18 holes. In one match, a player who had defeated his opponent on the first nine holes withdrew due to illness during the second nine. Should the player retain the point he won on the first nine, or, since he withdrew, should he lose all three points? A.The player should be awarded one point; his opponent won the other two points by default. a. Scheduling Division AA, A. 1. Teams that have won their respective Challenge match automatically advance. 2. The top slot stays untouched. The second slot moves one position to the right. The third moves two positions to the right. The fourth slot moves three positions to the right. 3. The only time this process is adjusted is when two teams from the same club are scheduled to play each other in either Division A. The process will not be adjusted in Division AA or the Challenge Matches. Process of Adjustment – If a club has two teams in the same division, the higher seeded team will move one place to the left if it is the No. 1 or No. 3 seed in the section. If it is the No. 2 seed in the section, then it will move two places to the left. b. Scheduling in Division B, C, D, E, F.
1. Working to avoid clubs having to compete against the same club over a two-year period whenever possible. 2. Keeping an equitable structure from moving within divisions. 3. Reviewing each club’s potential travel mileage within the division and working to ensure reasonable drive times for competitors. 4. Division winners in C will replace the last-place finisher in Division B in the corresponding Section directly above them. Division winners in Division D will replace the third and fourth place finishers in Division C. First and second place finishers in Division E will replace the lowest seeded last place finishers in Division D.
d. Rainout, Snowout, Catastrophe. Postponement of any match due to rain is permissible only when a course is declared unplayable by the Green’s Chairman or Golf Course Superintendent of the club involved. All such postponements must be reported to the Golf Office the following day. Availability of carts/caddies has no bearing on whether or not a match should be played. If a course is open for play, then the match must be played. In the event of a rainout, the makeup must be completed on the following Saturday (or earlier if mutually agreeable) or the match will be scored as a draw with NO points awarded to either team. In the event the teams can’t agree on the makeup date, the team available at noon on the Saturday following the rained out match will be declared the winner, and the match scored as default. If the required makeup interferes with the Playoff or Challenges, the Playoff or Challenge will be postponed one week.Playoff or Challenges Match Any Playoff or Challenges Match postponed due to course closure shall be played at 2 p.m. on the following Sunday or an earlier,if mutually agreed upon, date. If a team, or half team, is not available at 2 p.m., then the team that is available at 2 p.m. will earn the default for scoring (see defaulting team, half team). Complete rainouts of a match can lead to problems rescheduling and difficulty finding available players for clubs that have multiple teams, particularly if the other teams have played their match that week. Therefore, it is suggested that if one club of the match is open, the entire match be played at the open club. d. Course Closure due to Renovations or Regrassing. It is suggested that if possible, some rotation of holes be used to allow the matches to be played at the course undergoing the work (18 holes must be played, but not necessarily 18 individual holes). If this is not possible, then the entire match must be played at the away club or half the match at a neutral site and half the match away. The club under construction must request entirely away matches if that is a club’s only option. If the entire match can’t be played away, the club under construction will default the match (1/2) team. If both clubs are closed due to renovations or regrassing, then the entire match may be played at a neutral site. If the match can’t be played at a neutral site, then the match will be scored as a draw (no points for either team). Any team in a section that wins all three matches will be declared the winner of that section. b. Ties. In the event of a tie in the number of team wins, the winner shall be determined by the head-to-head winner. If there was a tie in the regular season match, or more than two teams tied with the same record, then the tie will be broken by the greatest total number of points from the three regular matches. a. Playoff. On the scheduled Saturday Playoff day at 12 p.m., or earlier if mutually agreeable, the winners of all Sections in Division AA shall play a match to determine the BMW GAP Team Matches Champion. If a team, or half team, is not available at 12 p.m., then the team that is available at 12 p.m. will earn the default (for scoring, see defaulting team, half team). The match shall be played by having three men at home and three men away at each course of the competing teams. The round shall consist of 18 holes, individual match play. The group, consisting of four men, one from each team, shall play a singles match against each player in his group. The scoring shall be as in the regular matches. There is no four-ball match. b. Challenge Matches. There will be eight winners of sections in Division A. On the scheduled Saturday Challenge match day at 1 p.m., or earlier if mutually agreeable, the top four winning teams (by record, then points) in Division A shall challenge the four last-place teams (or fourth-place teams) in Division AA, the next four winning teams shall challenge the four higher ranked teams or third-place teams) to determine the teams that will compete in Division AA and A next year. If a team, or half team, is not available at 1 p.m., then the team that is available at 1 p.m. will earn the default (for scoring, see defaulting team, half team). There will be 16 Sectional winners in Division B. The top eight teams (by record, then points) shall challenge the eight last-place teams (or fourth-place teams) of Division A. The bottom eight teams shall challenge the eight higher ranked teams (or third-place teams to determine the teams that will compete in Division A and B next year. All Challenge Matches shall be played and scored the same as the regular matches. Ties for ranking teams will be decided by record, then by total accumulated points, then by total match points for the season, then by total match points for Week 3, total match points for Week 2, total match points for Week 1. * Clubs with Second or Lower Team Involved in Challenge. If your second, third or fourth team has a Challenge Match, then the course handicaps of the players involved must not be lower than that of the lowest Course Handicap player to participate on that team during the three weeks of the BMW GAP Team Matches. c. Divisions C, D, E & F. The winners in Divisions C, D & E will automatically take the place of the last-place team of the division above. No Challenge Match or Playoff will take place. The winner and runner-up in each section of Division F will replace the lowest ranked teams in Division E. This will continue until there are six Sections in Division F. Teams will be ranked in Division E first by record then by total points. Prior to the release of the current year schedule. If a team drops out of the BMW GAP Team Matches, the Association will move the team(s) with the best prior regular season record and points that lost the Challenge Match up a division. After the release of the current year schedule. If a team drops out of the BMW GAP Team Matches, then all of the matches against this team will be played as default. That same default team will take its place in the Challenge Matches under the normal seeding process. The empty spot that is left after the Challenge Match occurs will be filled by the process explained in the paragraph above. Course setup can have the largest role in the enjoyment and pace of play of the BMW GAP Team Matches. Please keep this in mind when preparing your courses for the Matches. a. During the three Sunday Matches. Division AA should play a yardage of 6,600 yards to 6,800 yards or tips for shorter courses. Division A should play a yardage of 6,400 yards to 6,600 yards or tips for shorter courses. Division B should play a yardage of 6,200 yards to 6,400 yards or tips for shorter courses. Division C, D, E & F should play a yardage of 6,200 yards or less. b. The Playoff and Challenge Matches. The Playoff should follow the normal recommendation for Division AA. All Challenges matches should follow the recommendation for Division A.
a. List of Conforming Golf Balls – Local Rule as prescribed in Section 8 of the Committee Procedures is in effect. Model Local Rule G-3. b. List of Conforming Driver Heads – Local Rule as prescribed in Section 8 of the Committee Procedures is in effect. Model Local Rule G-1. C. The Local Rule for a ball lost or out of bounds is NOT in effect. D. Pace of Play – In the BMW GAP Team Matches, the format is singles match and four-ball match play. The rules governing four-ball match play take precedence over the rules of Individual match play. If a player were to be warned and later penalized for slow play, then he and his partner would lose the hole for the four-ball, and he would also lose the hole for his Individual match. If that same player were to be later disqualified, he would be disqualified from both his individual match and he and his partner would be disqualified from their four-ball match. In the disqualification situation, any points already scored in the Nassau would stand as scored. Please check with host club prior to tee off for the individual club policy. Kirby and Mark are playing together against Mike and Marty. Kirby has an individual match with Mike, and Mark has an individual match with Marty. On the fifth hole, Kirby and Mark are 2-up on Mike and Marty. Kirby is 1-up on Mike and Mark is 3-up on Marty. On that hole, Kirby is penalized for undue delay (slow play) after being warned on the third hole. Kirby and Mark are now 1-up on the sixth tee in the four-ball. Kirby is now all-square with Mike on the sixth tee and Mark still needs to finish the hole against Marty to determine how their match will stand on the sixth tee. In that same situation, Kirby is again warned for slow play on the 8th tee and later is disqualified on the 12th hole. Kirby and Mark will lose two Nassau points in the four-ball match, and Kirby will have lost two Nassau points in the individual match with Mike. Mark will have to play his match out with Marty to determine their final score. e. Transportation – Caddies and/or carts may be unavailable depending on the host club. 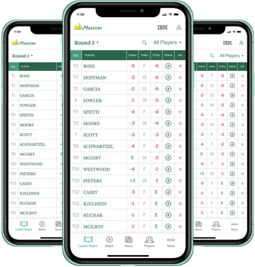 Each home Team Captain will be responsible for coordinating caddie requests with visiting Captains and for arranging for those caddies to be available. Motorized equipment may be used, if desired, in the BMW GAP Team Matches. Financial responsibility for carts, caddies, or carts and caddies, lies with the player. f. Practice – Rule 5.2a covers practice before the round in match play. g. When Competition is Final – Each week’s competition shall be deemed to have closed the Wednesday after each match at 4:30 p.m. unless there were weather issues, in which case that week shall be deemed to have closed when the scores from that week have been announced. The Playoff and Challenge Matches are final the Tuesday after the matches at 4:30 p.m. unless there were weather issues, in which case that week shall be deemed to have closed when the scores have been announced. h. Cell/Smartphones – All players/caddies are advised that the use of cellular/smartphones for phone calls/emails/texts/messaging on the course is permitted as long as it is done so within the confines of Rule 1.2 and if the host facility allows those devices to be used. All players are expected to keep their phones in silent mode while on the course. If a player consistently disregards his fellow competitors or opponent to their detriment, then the Committee will take appropriate disciplinary action. Such action may, for example, include prohibiting play for a limited time or in a certain number of competitions. There could be a penalty for unreasonable delay (Rule 5.6 ) or disqualification based on a player’s actions. Golf is considered a gentleman’s game, and each player is expected to adhere to the highest standards of conduct on the course. a. Practice Rounds. Practice rounds are not part of the BMW GAP Team Matches and will not be provided. b. Dress Code. Players are required to observe good taste and to dress appropriately for the golf course. Items of clothing such as cargo pants and shorts (baggy clothing with large pockets in the knee area), blue jeans, short-shorts (bottom of shorts may be no higher than two inches from the top of the knee), tank tops, etc., are considered inappropriate. It will be the host club’s responsibility to enforce the dress code. Most clubs require a jacket and tie after 5 p.m. It is appropriate that individuals be prepared for this rule when visiting a GAP Member Club. Check with the host club Captain for specifics. c. Website Score Posting. Team Captains/Golf Professionals have received detailed information on Web score posting. Team Captains MUST log onto the GAP website, www.gapgolf.org, and post their scores immediately upon the conclusion of that day’s match. d. Fax Results to GAP. If unable to post scores via the website, then result sheets can be faxed to the Association. The GAP fax number is 610-687-2082. When faxing to GAP, please use black pen (no felt tips or pencils), print clearly using GHIN numbers, first and last names of players and their handicaps. Do not fax a cover sheet. e. BMW GAP Team Matches Results. All results will be posted to the GAP website, www.gapgolf.org, and results are unofficial until 4:30 p.m. Wednesday. Once declared official, results are final. f. Nine-Hole Courses. When a nine-hole course is being played, please arrange for the BMW GAP Team Matches to have the right-of-way at the 10th hole. g. Player’s Dinner. The BMW GAP Team Matches Division AA Champions will be invited to the Player’s Dinner. h. Posting BMW GAP Team Match Scores. All scores MUST be posted to the GAP/USGA Handicap System as T (Tournament) scores. i. Contact Information: Questions about the BMW GAP Team Matches can be directed to Kirby Martin at the Golf Office at 610-687-2340, ext. 12. For day of competition questions, please contact Kirby Martin at 267-421-9432; Chris Roselle at 484-222-1471 or Justin Reasy at 814-937-5336.